FSU Center for Developmental Science - Recent Research Updates! Full citation: Haughbrook, R., Hart, S. A., Schatschneider, C., Taylor, J. (in press). Genetic and Environmental Influences on Early Literacy Skills Across School Grade Contexts. Developmental Science. Learn more about Dr. Borovsky's research! 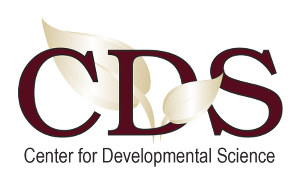 CDS has a new logo! CDS has a new grant!